We at Elder Law & Estate Planning Solutions of the Piedmont understand that to many people, the prospect of estate planning can be overwhelming. Not only is contemplating worst-case scenarios stressful, but it can also be difficult to know where to begin when there are so many different facets to consider. To make it easier to get started, our team has put together this list of estate planning basics. Start thinking about these pieces, then call us at Elder Law & Estate Planning Solutions of the Piedmont to help you put them together. What Happens to You- The first thing to consider when making your estate plan is what you want to have happen to you in the event of your death. This includes making a living will to dictate what medical treatment you want--or would not want--to receive if you were ever incapacitated. For instance, if you were to fall into a coma, your living will dictates whether or for how long you would want to remain on life support. What Happens to Your Children- If you have children, your estate plan also needs to account for who will care for them in the event that you no longer can. This is a part of estate planning that distresses many people but remember that the best thing for your children in this worst-case scenario is to entrust them to loving guardians and leave a clear plan for their care. Our team at Elder Law & Estate Planning Solutions of the Piedmont can help you make plans for the guardianship of your children. What Happens to Your Property- The third and main aspect of estate planning is deciding what will happen to your property. How do you want to pass down your assets and to who? Our team at Elder Law & Estate Planning Solutions of the Piedmont can help you make the best decisions regarding your assets to ensure the financial wellbeing of your loved ones when you are no longer with them. There are many things to consider when making these decisions, such as beneficiaries, estate taxes, and who to name as the executor of your will. 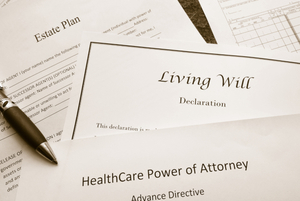 For help with all of these aspects of estate planning, you can rely on us at Elder Law & Estate Planning Solutions of the Piedmont for our expert advice.